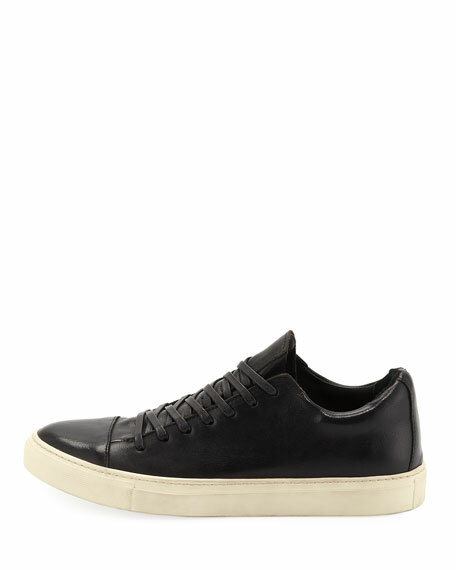 John Varvatos low-top sneaker in calf leather. John Varvatos based his unique brand on uniting Old-World craftsmanship and refined tailoring with modern textile innovations and a rock-and-roll sensibility. Originally a collection of tailored clothing and sportswear, today the Varvatos line includes shoes, accessories, and a range of distinctive fragrances. 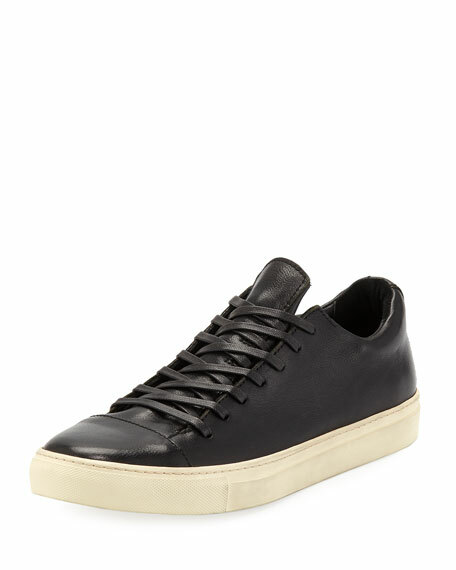 Buscemi leather sneakers with sock-like construction. Shaft, approx. 6"H (150mm). Perforated round toe. Lace-up front. Debossed logo at sides. Looped pull at back collar. Rubber sole. Merino wool/polyacrylic, knit. Made in Italy. Fendi low-top sneaker in two-tone smooth calf leather. Monster Eyes motif with silvertone metal pupils. Round toe. Lace-up front. Logo-embossed tongue. Leather and polyester lining and insole. Rubber outsole. Made in Italy. 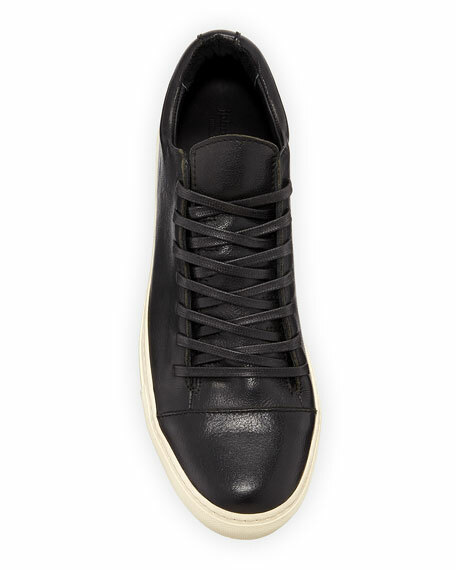 Golden Goose distressed leather sneakers with signature star at side. 1" distressed platform. Round toe. Mixed metallic lace-up vamp. Logo at tongue. Contrast logo backstay. Padded footbed. Signature stained rubber outsole. "Superstar" is made in Italy.